Vaisala, the environmental monitoring specialist based in Finland, is to make segment structure changes to the business areas that it serves from 1 January 2012. Vaisala’s Controlled Environment business area represents various industries where environmental measurements play an important role in operational efficiency, product quality and optimisation of energy consumption. Currently the business area comprises three market segments: Life Science and High Technology, Building Automation, and Targeted Industrial Applications. As of 1 January, Life Science and Targeted Industrial Applications will continue, while Building Automation and High Technology customers will be integrated into the Targeted Industrial Applications segment. At the same time, Vaisala will align the business area sales set-up according to the new structure, which will comprise Life Science and Targeted Industrial Application sales teams. ‘We have been implementing our market-driven strategy for nearly three years now,’ said Kenneth Forss, executive vice president of Controlled Environment at Vaisala. ‘During this time we have adjusted our focus, especially in the Life Science segment, which has given us the opportunity to widen our offering and enter the European, Chinese and Japanese markets. The Life Science Segment serves the pharmaceutical industry, biotechnology and medical device companies, which operate in demanding production, warehouse and research environments where precise environmental measurements are extremely important due to tight authority regulations. Vaisala offers measurement instruments, continuous monitoring systems and solutions, validation and mapping systems, and related calibration and maintenance services to this sector. Targeted Industrial Applications represent demanding industries such as power plants, maritime, plastic manufacturers, semiconductor and electronics industries, as well as manufacturers of building automation systems. Reliable and stable real time environmental measurements help extend equipment lifetime, improve product quality, optimise energy consumption and indoor air quality, and prevent downtime. 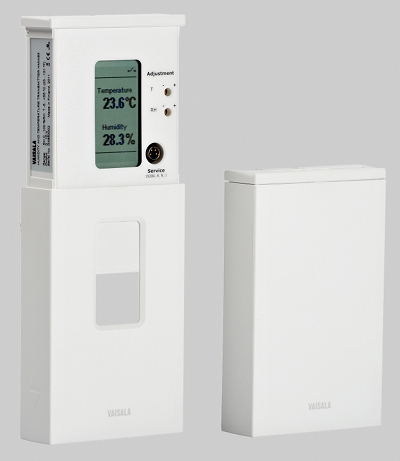 To this segment, Vaisala offers measurement instruments for humidity, dew point, temperature, carbon dioxide, pressure, moisture in oil and natural gas, and the related calibration and maintenance services.